Even when he was in the WWE, it was clear that The Rock was destined for a career outside the ring. When wrestling became mainstream in the ’90s, he got to show his personality off to audiences on everything from Monday Night Raw to chat shows and SNL, and it didn’t take long after that for Hollywood to come calling. Like many wrestlers who take a crack at acting, Dwayne Johnson wasn’t offered the greatest of roles to begin with. They were all fun (The Scorpion King should be everyone’s guilty pleasure), but nothing really stood out. However, giving up his lucrative position as the WWE’s top guy meant that The Rock persevered and would eventually end up being named the world’s highest grossing actor by Forbes. He’s that good! With everything from the awesome looking San Andreas to a plum role in DC Comics adaptation Shazam on the horizon, Johnson’s career continues to get bigger and better. As if that wasn’t enough, he also still finds time to make the occasional WWE appearance and is even rumoured to headline next year’s WrestleMania. Here, we take a look at just ten of our favourite performances from Dwayne “The Rock” Johnson over the years. Some set the stage for what his career has become and others are just pure fun, but they’re all great. G.I. Joe: Rise of the Cobra was not a good movie, and the prospect of a sequel didn’t excite fans. However, the addition of Dwayne Johnson ensured that G.I. Joe: Retaliation was a box office hit and a hell of a lot of fun to boot. 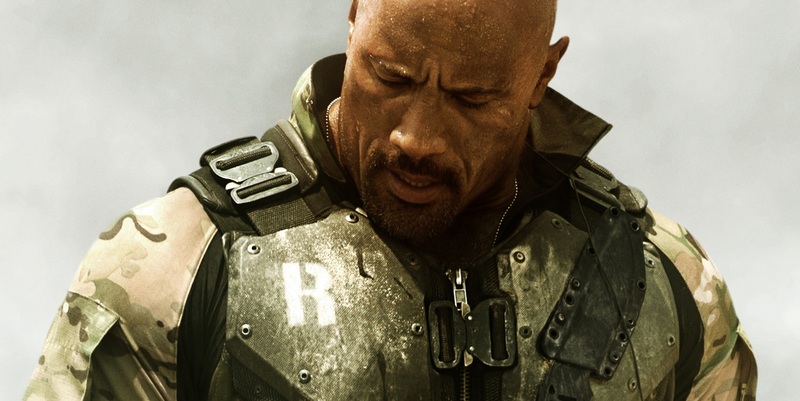 As Roadblock, Johnson injected a lot of life into the movie and his scenes were by far the best part of this initially unwanted follow-up (though that impressive cliff sequence may have given him a run for his money to be fair). Starting a sentence off with “In the immortal words of Jay-Z…” isn’t easy for any actor to pull off, but Johnson certainly did, and he brought the badass Roadblock to life in a convincing manner.